Shhh! Couture advise choosing the Custom Sizing option when ordering as this will provide the perfect fit for your body. All items are available in standard sizes. Below is the size chart for standard UK, AU, EU and USA sizes. Please note that the measurements shown are of your body, not of the finished product. If you find you are between sizes don't hesitate to contact us for help. Custom sizing is available at no extra cost, and a full list of measurements needed will be sent once the order is received with a diagram explaining how/where to measure. Shhh! Couture cannot be held responsible for inaccurate measurements supplied. Net and marbled latex sheets are handmade by me. This means that no two sheets will ever be the same. There may be some minor imperfections in the sheet, but nothing that will affect the structure of the sheet. It stretches and is worn like your usual latex pieces. Net latex can be made in one or two colours and can be done in a grid-like pattern or a random 'squiggle' pattern. 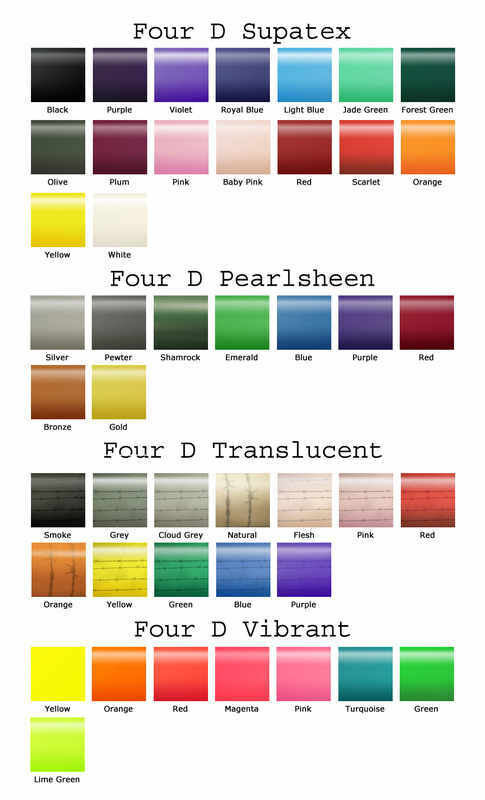 The marble latex does it's own thing on each sheet and can be made with up to 3 colours. Please note that the sheets current produced are approximately A3 in size so are best used for panels and details on a garment. Bigger sheets will be in production soon. FourD and Radical Rubber are the main suppliers of latex sheeting to Shhh! Couture. 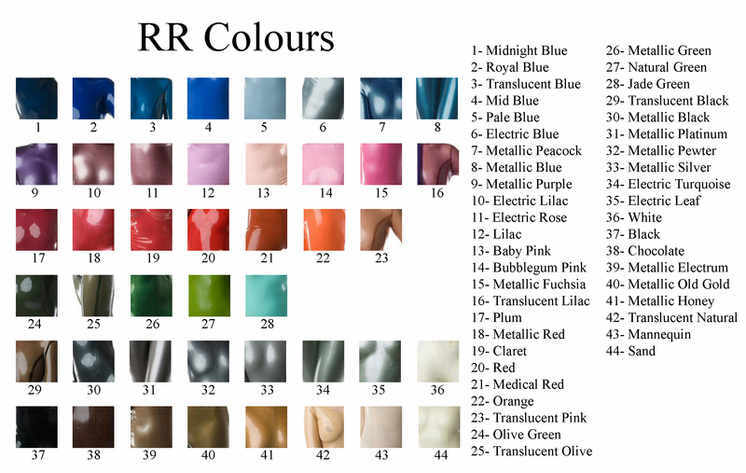 Colours supplied by Radical Rubber will be marked with RR on the drop-down menus. Please note that each suppliers colours differ. For example, red from FourD is a different shade to red from RR.